Blue Light Card has been providing police discounts since August 2008. Blue Light Card allows Police officers to receive discounts online, and on the high street with the vetted Blue Light Card. Blue Light Card was initially set up to allow Police Officers and Police Staff to receive discounts without having to flash their Police warrant cards on the high street. Blue Light Card has become a popular option for Police Officers and Police Staff across the UK and thousands use our website and app each day. Members of the Police Force can access the Blue Light Card service via the website or free mobile app. The Blue Light Card app allows members of the Police Service to get discounts on the go as well as look at discounts from the comfort of their own home. Blue Light Card has a free app for both iPhone and Android so make sure you download it to get quick access to Police discounts. The Blue Light Card team are continuously adding new discounts to both the online discounts and high street offers sections to expand the number of discounts for Police. 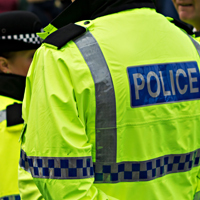 Blue Light Card works with many Police Forces directly to provide discounts to their Police Officers and Police Staff. If you are within a Police Force and want to promote this to your Police Officers, please get in touch with Blue Light Card via our contact page and we will gladly provide you more information on our Police discounts and provide you with promotional materials. In addition to serving Police Officers, Blue Light Card also offers Police discounts to Retired Officers, many of which who are members of NARPO. If you are a member of a Police Force it is simple to receive discounts through the Blue Light. Please click the register now button below and fill out the information. Once you have confirmed your email address, a member of the Blue Light Card discounts team will approve your details and you will be free to take advantage of the huge number of discounts available. Blue Light Card; Savings for lifesavers and home of Emergency Service, Armed Forces and NHS savings. Discounts for Police Officers and Police Staff online and on the high street through Blue Light Card. Register for free.